The Indian unit of German auto component maker Bosch is working on technology that would help vehicles meet the Bharat Stage-VI (BS-VI) emission standards, which will come into effect from April 2020. While such technology is available in Europe, the company feels it’s a huge challenge to make it compatible with Indian driving conditions. 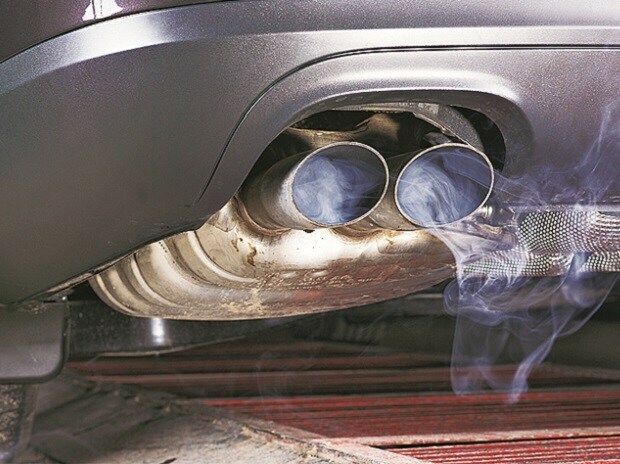 Bharat Stage emission standards have been established by the Indian government to keep a check on air pollutants coming out of motor vehicles. India has for many years been criticised for not controlling the pollutants at the source. The ministry of road transport, in September last year, notified that all vehicles manufactured on or after April 1, 2020 should meet BS-VI emission norms. The Supreme Court recently banned the sale and registration of any vehicle that is of BS-III emission standard from April 1. 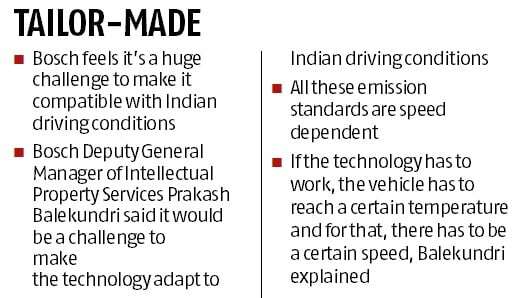 Prakash Balekundri, deputy general manager of Intellectual Property Services, said it would be a challenge to make the technology adapt to Indian driving conditions. “Technology may be available in Europe, but that has to work in Indian conditions. So, a lot of innovations have to happen for meeting this emission standard. It has become a focus topic,” said Balekundri, who leads Bosch initiative in generating intellectual property in the firm. The main difference will be driving conditions and the fuel quality. All these emission standards are speed-dependent. If the technology has to work, the vehicle has to reach a certain temperature and for that, there has to be a certain speed, he explained. “If we look at vehicle speed in the cities, it is hardly 5 to 10 kmph, and most of our time is spent on roads. So, how do we meet those emission standards at such low speeds. That is a major challenge,” said Balekundri. Bosch has nearly a third of its global research and development (R&D) workforce, or 18,000 people, in India, who are building a combination of products for automobiles, agriculture and transport management. Bosch says that along with the BS-VI emission standard research, the two-wheeler projects for better engine performance are gaining momentum. “Two-wheelers have become a very important project because the market is very huge in India and China. In other countries, such as Indonesia and Thailand, as well, a lot of innovations are going on in two-wheeler projects,” said Balekundri. The Bosch India Unit has filed over 4,000 patents for various innovations in the automobile space. Along with the BS-VI emission standards, there is also an increased focus on innovation in the space of car infotainment. “These days, the business data is getting associated with the geo data. The location brings a lot of intelligence to the data, so developing specific algorithms in this area is what Bosch is looking at. We were trying to see how we can make driving more convenient, how can you reach a particular destination faster or how you can get associated with a point of interest of your choice,” said Sreeja Arunkumar, expert geographical information systems, Bosch India, who is credited with having the maximum patents to her credit.